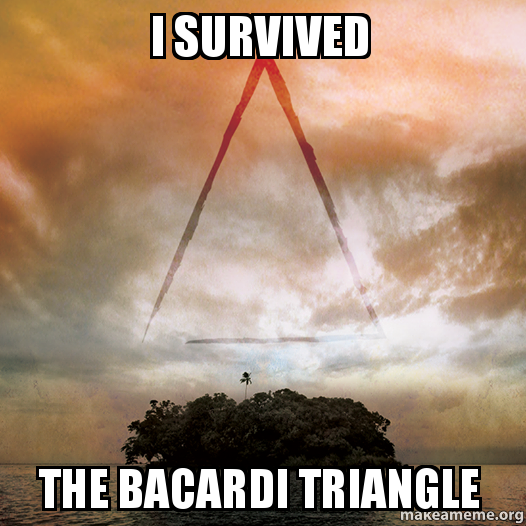 The above was the teaser video for the Bacardi Triangle, sent out to the masses on September 10th. I would've thought this was a scam had reputable spirits brand, Bacardi, not sent out the information themselves. It just seemed too good to be true. Three of the hottest artists right now, Calvin Harris, Kendrick Lamar, and Ellie Goulding all performing an exclusive concert on an island during a four day be all end all Halloween blowout? Three private jets taking 1,862 people from London, NYC and LA to witness it? Surely this couldn't be real life. Once I realized it was, I made sure to put it out in the universe that I HAD to be there! I never really expected the universe to answer back, but it did! 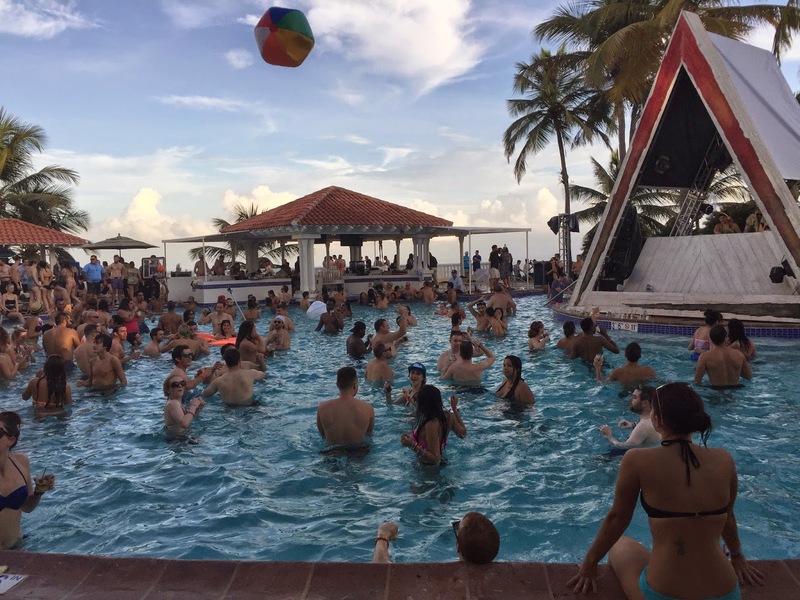 Companies from Pandora to Expedia to Noisey and more all held contests to send a lucky few to experience this epic weekend firsthand. I entered EVERYTHING! 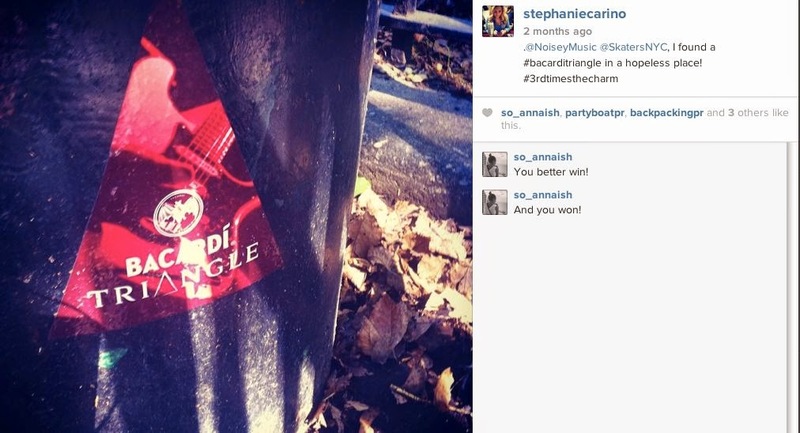 Noisey held scavenger hunts all over the city and I spent three separate occasions scouring the entirety of Thompson Square Park for a glimpse of a Bacardi Triangle sticker! My lucky break didn't come from that entry, but through Expedia Media, when I became one of three winners that were selected at random. Again, I thought being selected to be one of the few to attend was too good to be true. Once it was confirmed though, I chose my sister as my lucky +1 and we had a whole 15 days to wait before takeoff. Our departure day started early since we had to trek all the way to Newark Airport. 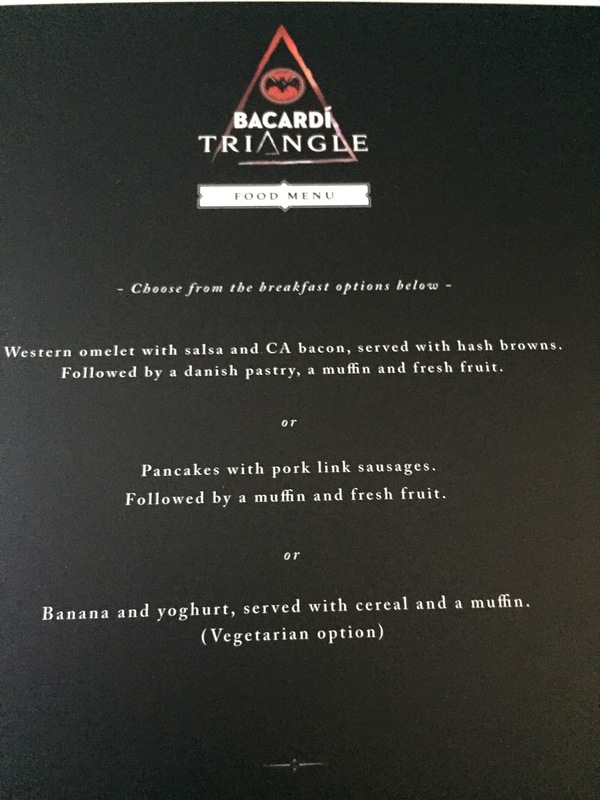 Bacardi hosted a welcome breakfast at the DoubleTree by Hilton Hotel, near the private terminal we were leaving from. 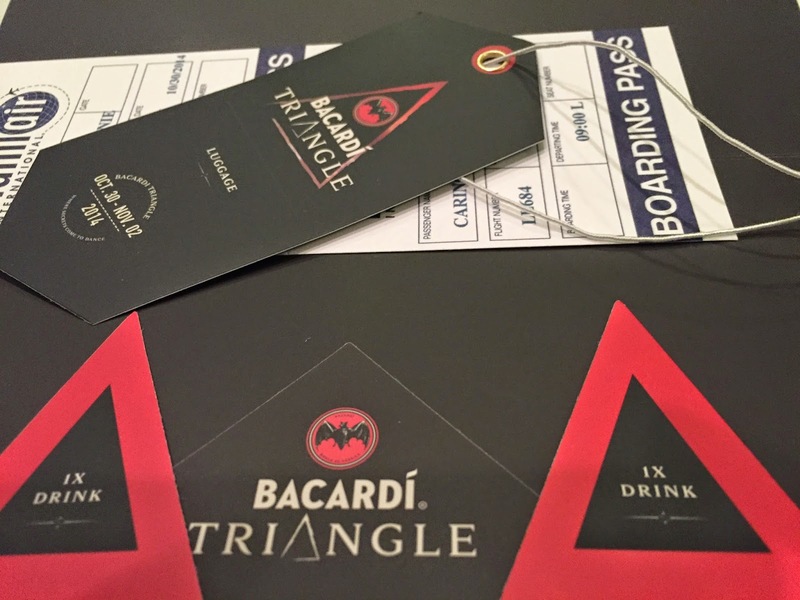 We were introduced to Bacardi bartenders, ambassadors, media and more lucky individuals who would be embarking on this four day journey with us. We were given special tickets and luggage tags that would signify to the airline and hotel we were VIP. 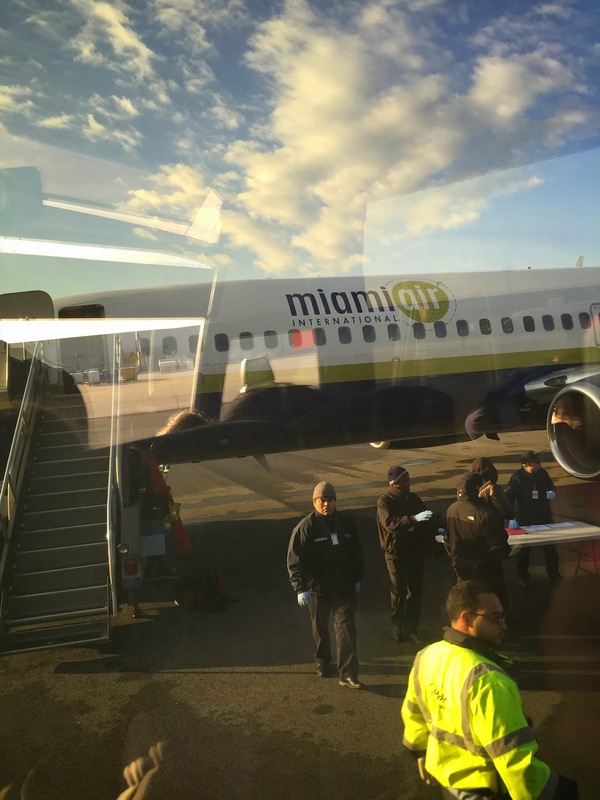 Buses took us directly onto the tarmac, where our plane, chartered by Young Jets, would be leaving from. A table set up outside for security was our last check in before ascending up the stairs for our flight. 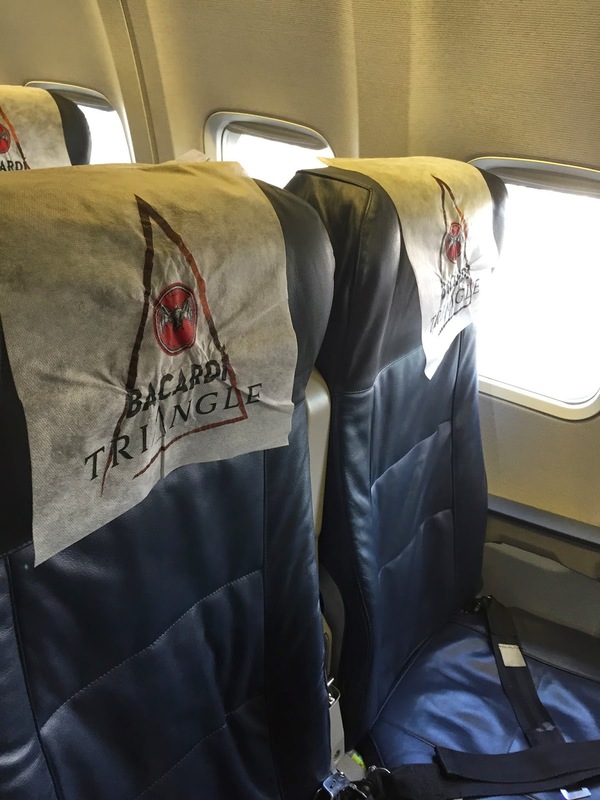 Everyone on our flight was headed to the Bacardi Triangle, so it was a given that we would have a blast. 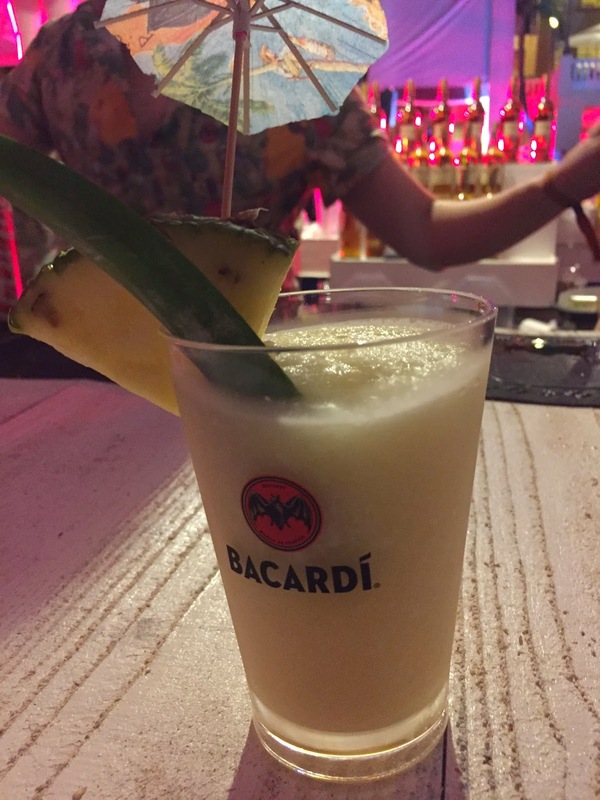 Bacardi Bartenders were serving up signature cocktails that we could redeem our drink tickets for. We were also served a brunch that was pretty tasty for airline standards. 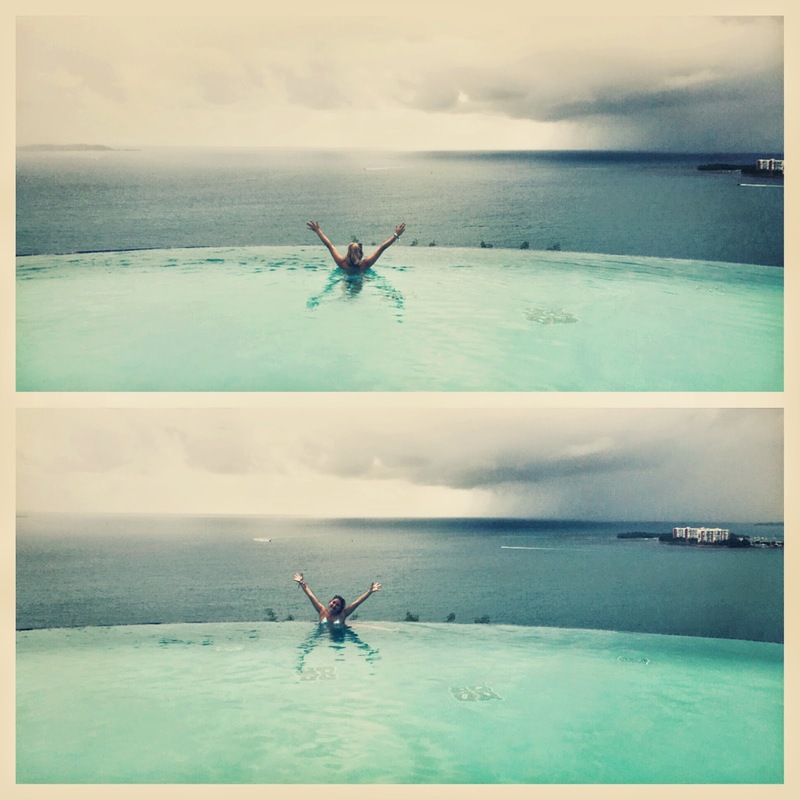 The time sped by and before we knew it, we had landed in PR. 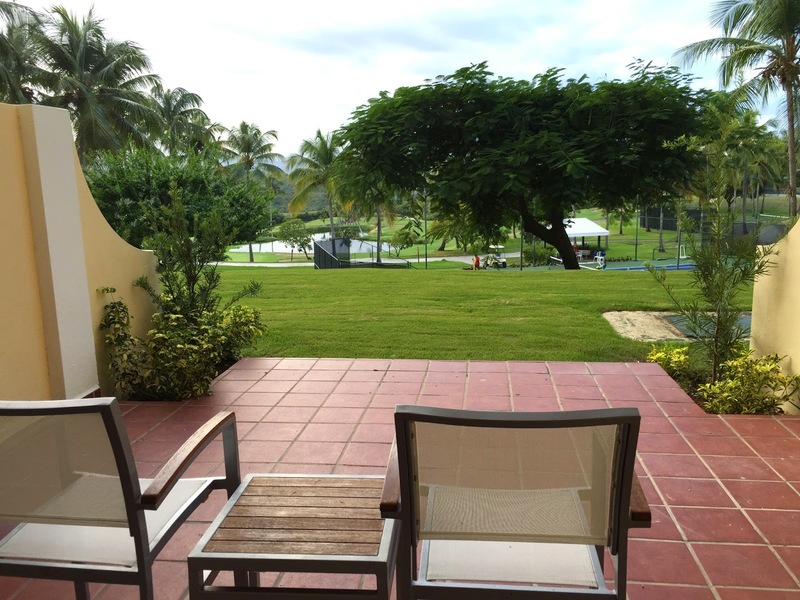 A team met us at the San Juan airport and we were on the road again to El Conquistador Resort in Fajardo, PR. The grounds were so vast it took us five minutes just to get to the entrance! 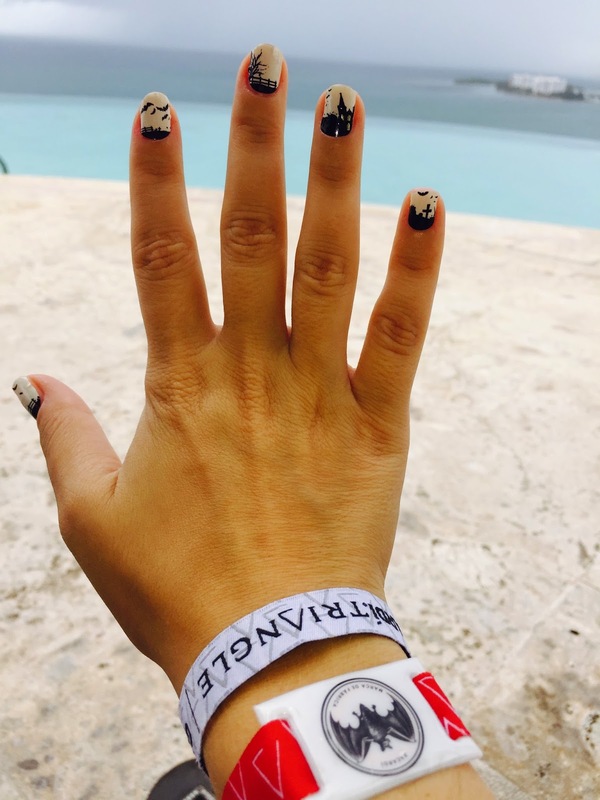 The property had a golf course, multiple pools, a conference center and more all sitting above the ocean on a 300 foot cliff! 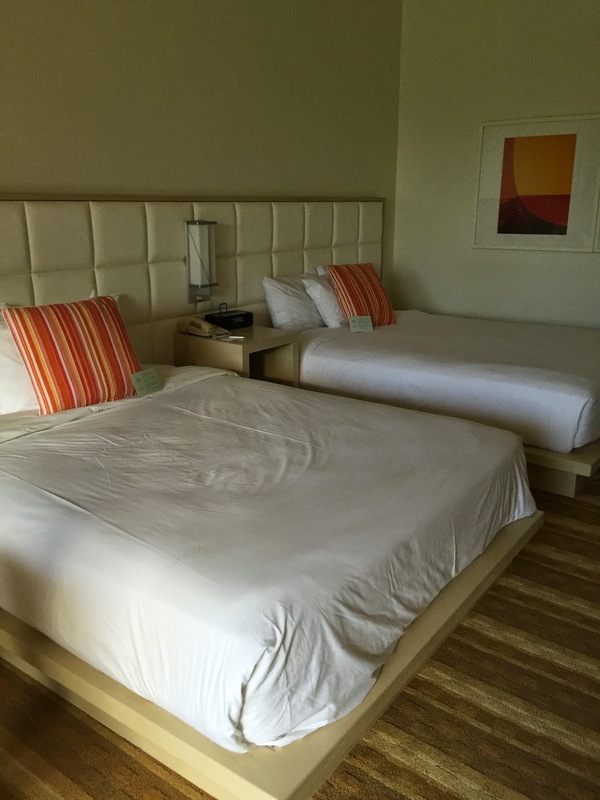 This was our home for the duration of our stay. We were greeted by Bacardi Triangle staff with clear mystery beverages as we waiting on line to check in for the event. 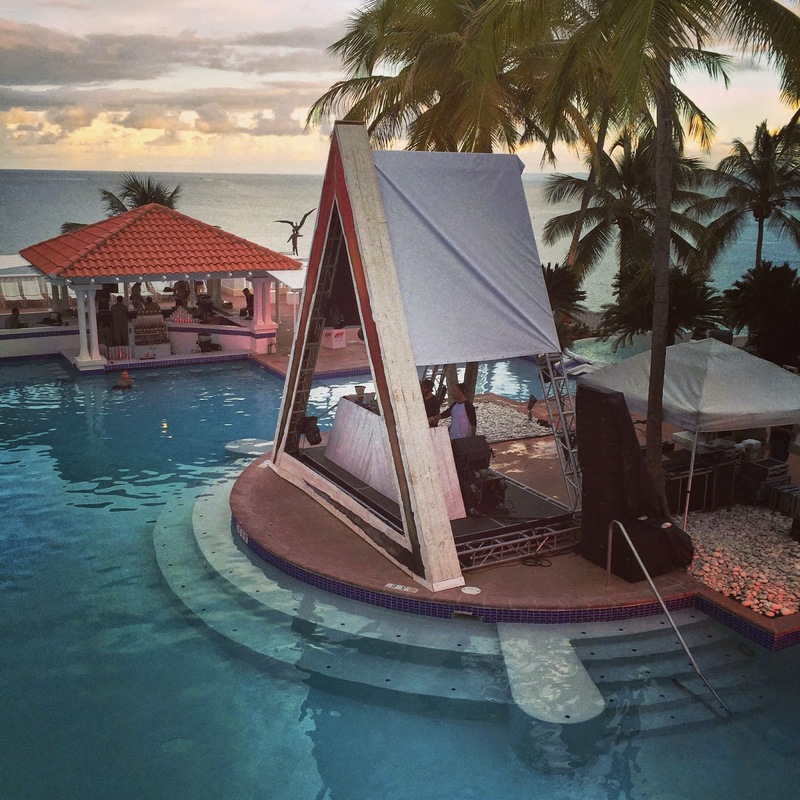 Once we were settled, we went straight to the pool, where DJs were already playing and the weekend had officially begun. 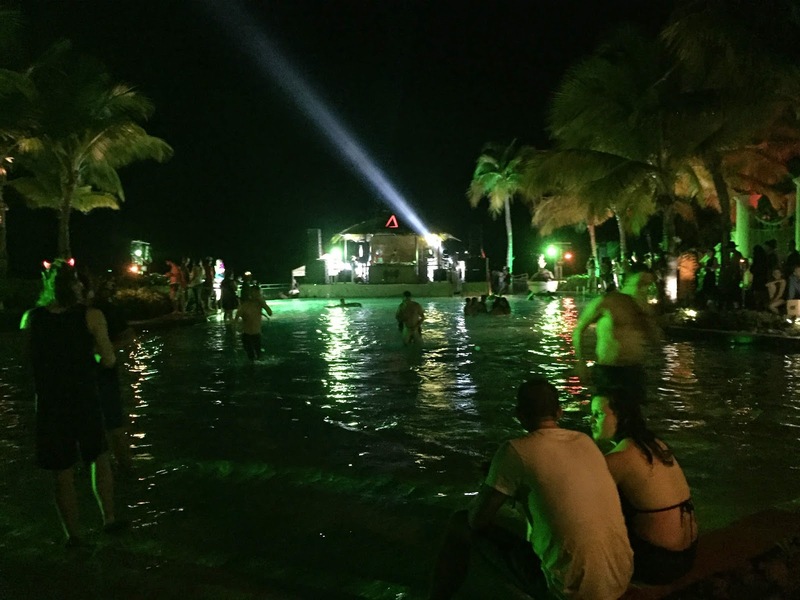 Later on that night, we went back to Club 1862 at the main pool for the Dusk till Disco party, where The Cuban Brothers, PBR Streetgang and Tensnake performed amazingly entertaining sets. 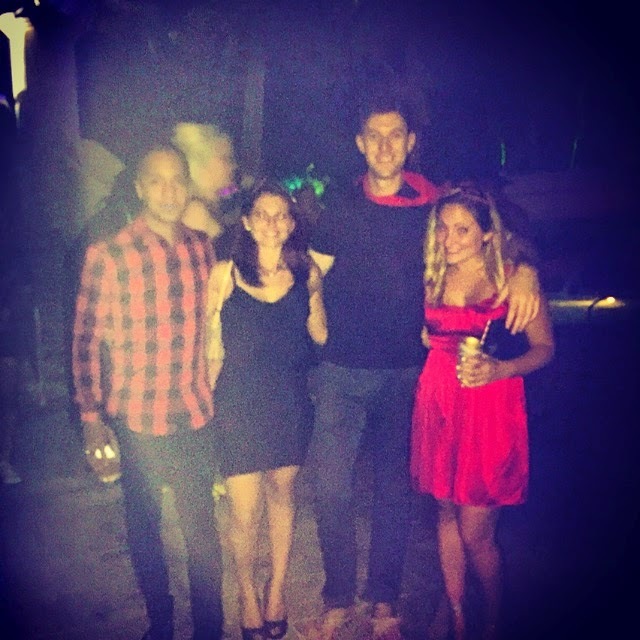 Dancers on Roller Skates, Breakdancers and men in thongs were all a part of the night! 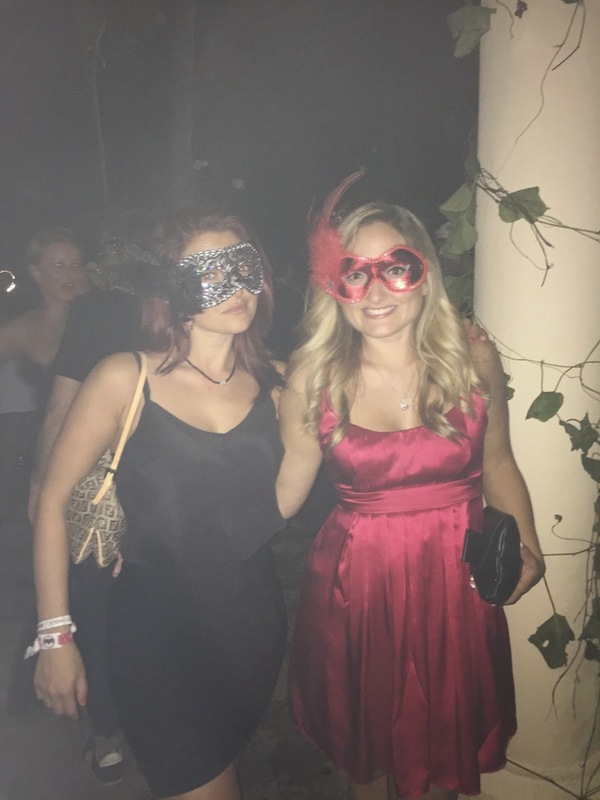 Although it rained on and off on Halloween, spirits weren't dampened. 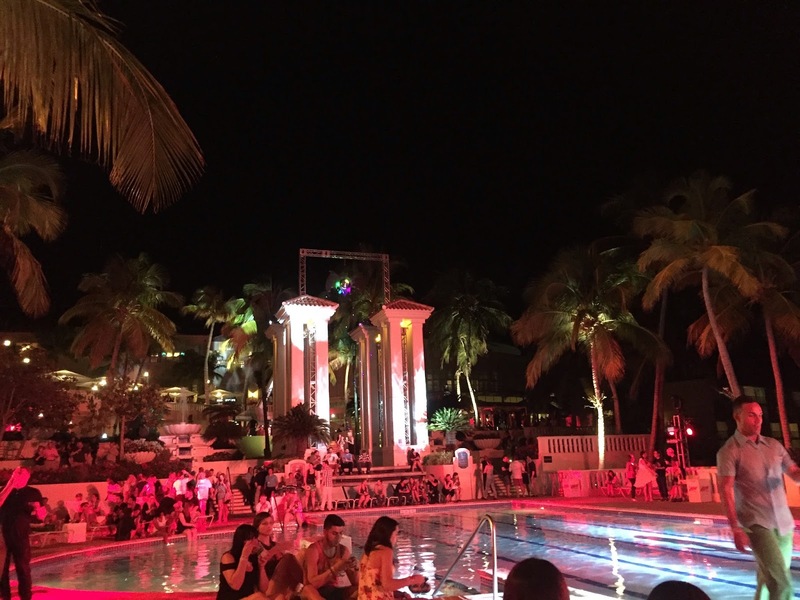 We visited the infinity pool at La Casitas, played volleyball and got ready for the Bacardi Black Magic Pool Party at Coqui Water Park. 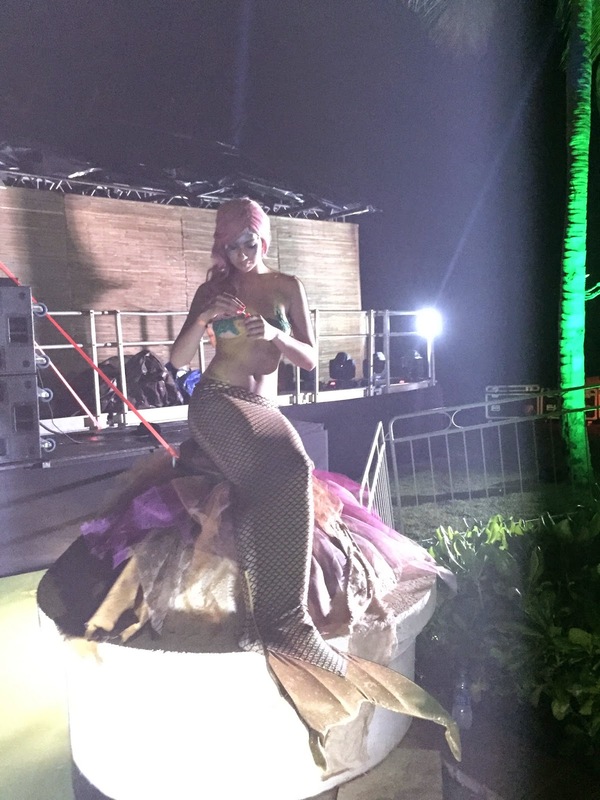 Coqui Water Park, with enchanted mermaids and creatures of the night, was completely decked out for the Halloween party. 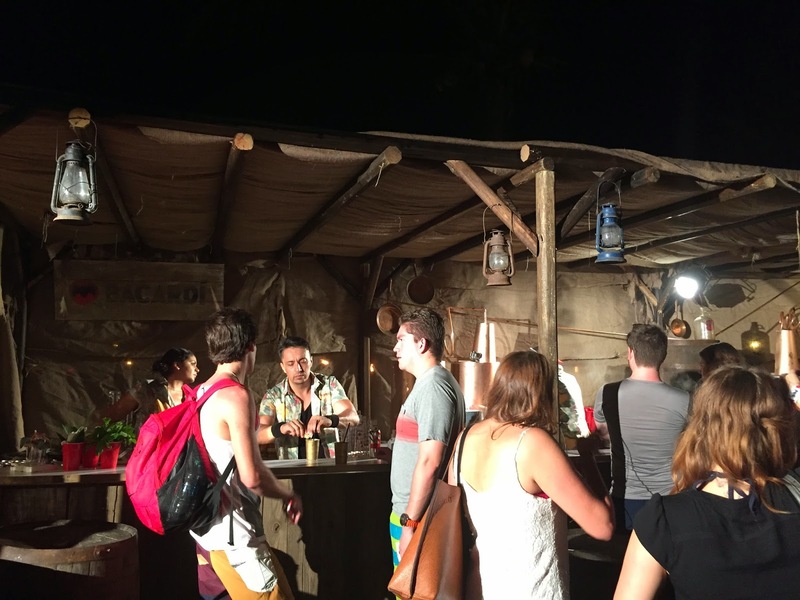 More Bacardi bars were set up with even more signature drinks. 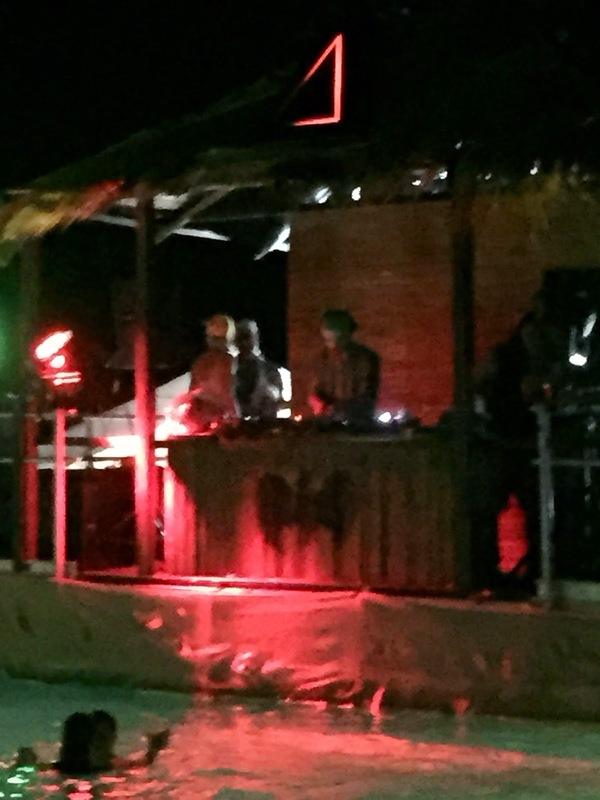 Bang Bang DJs, AC Slater, The Crookers and more, all spun into the night. Then we came to the day we were all waiting for,"The Forgotten Island" finale event with Calvin Harris, Kendrick Lamar and Ellie Goulding. 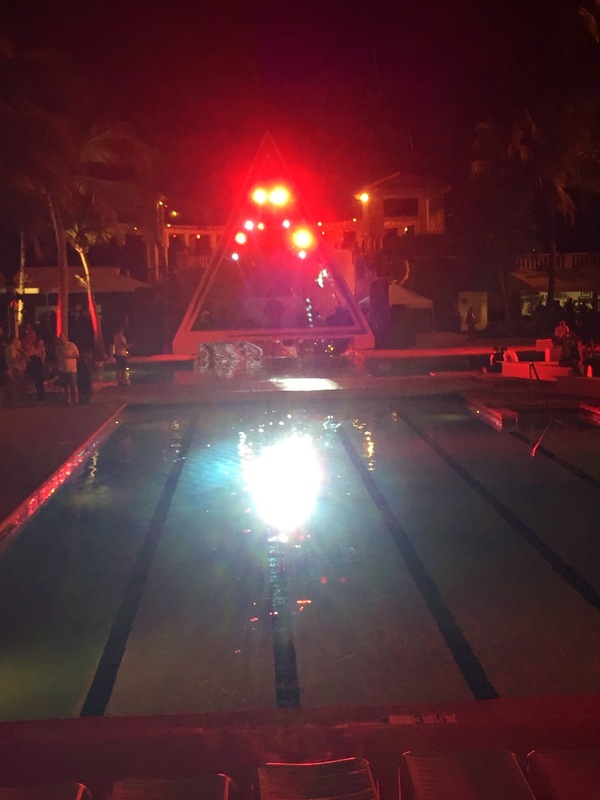 The concert was taking place on Palomino Island, which was barricaded just for our party to attend and a huge stage was built for the occasion. 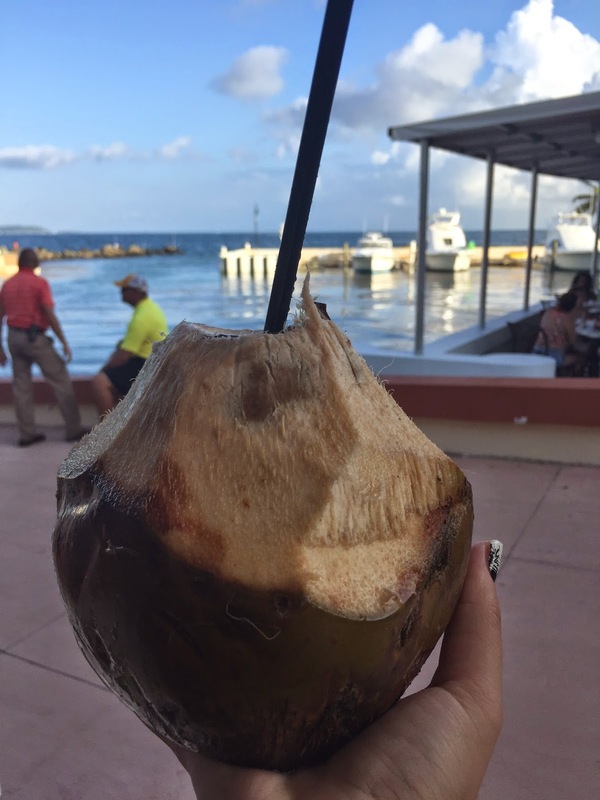 We received Bacardi in coconuts as we waited for the boats to take us over from the main island. When we arrived, Puerto Rican natives in boats outlined the island in hopes of hearing the music. A feast waited for us that ranged from all cuisine types. Performers with fire batons entertained the crowd while we waited for the concert to start. The concert was indescribable. 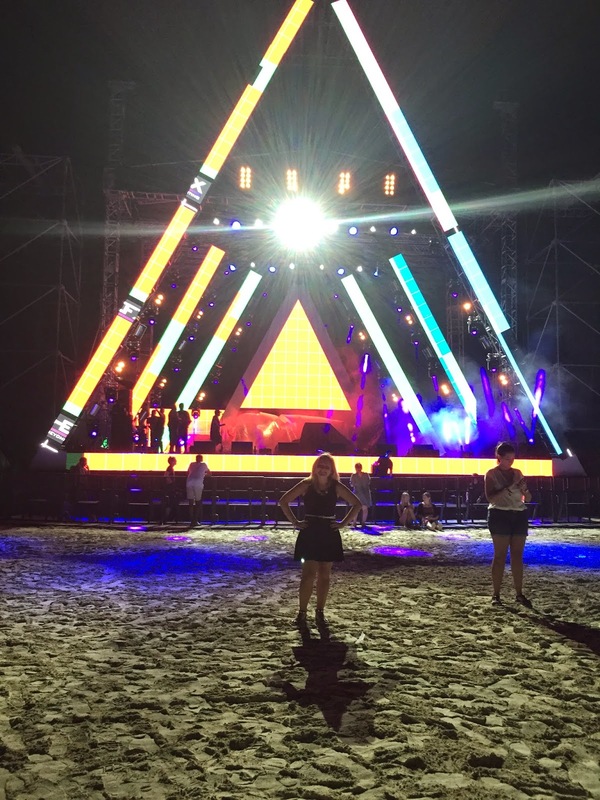 When else would you get an opportunity to see such popular artists in such an intimate setting with your feet in the sand?! Ellie Goulding kicked off the performances with a bang, singing hits like "Anything Can Happen," her song with Calvin Harris, "I Need Your Love," and "Lights," among other songs. 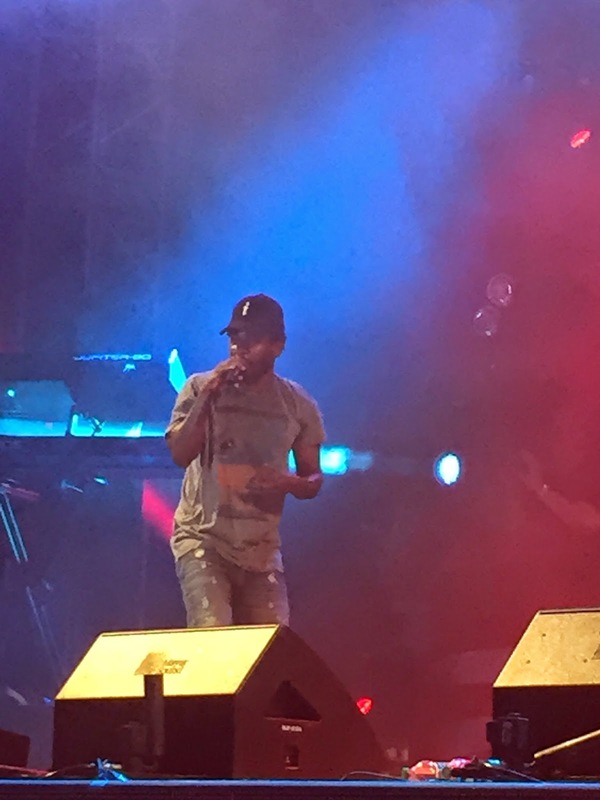 Kendrick Lamar definitely brought the energy and had grown as an artist since I saw him at the Spotify House at SXSW in 2013. The crowd sang Kendrick's words back to him in sync. Unfortunately the bass was so heavy and we were so close to the stage that most of my videos didn't do the performance justice. Calvin closed out the concert with a crazy light/confetti/firework show fueled with his crowd pleasing songs blasting through the speakers. He mixed up songs like Disclosure's "Latch," and featured most of his hits like "Feel So Close," "Sweet Nothing," "Summer," "Blame" and more. Everyone left the island knowing that they had just witnessed greatness from the three performers. The only thing I wished is that Calvin and Ellie would've take the stage together! Overall, if I didn't document this trip completely with photos and videos, I don't think anyone would've believed this happened, including me. 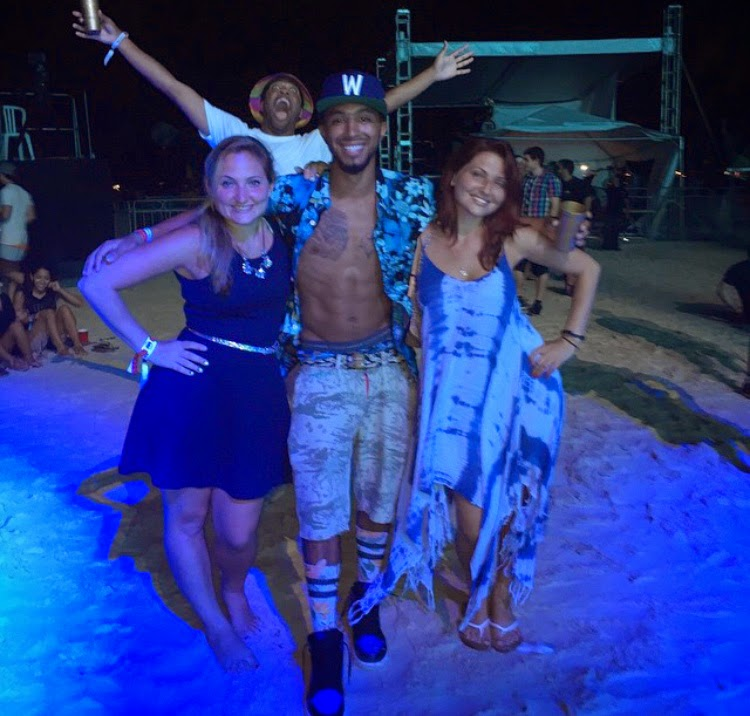 I just want to take a moment to thank Bacardi, Young Jets, El Conquistador Resort and anyone else who made this trip possible. I left with new friends and memories I would not have had otherwise. This is one immersive experience I'll never forget and I know most people feel the same! 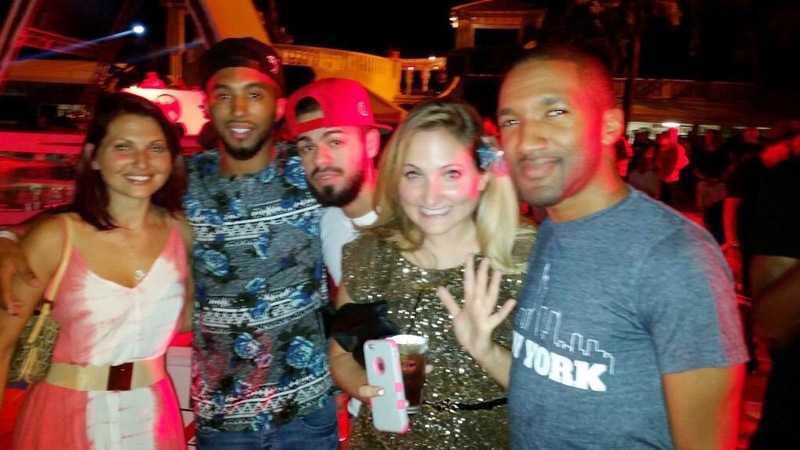 I know it was a once in a lifetime event, but I wouldn't hate it if Bacardi invited me to their next excursion!